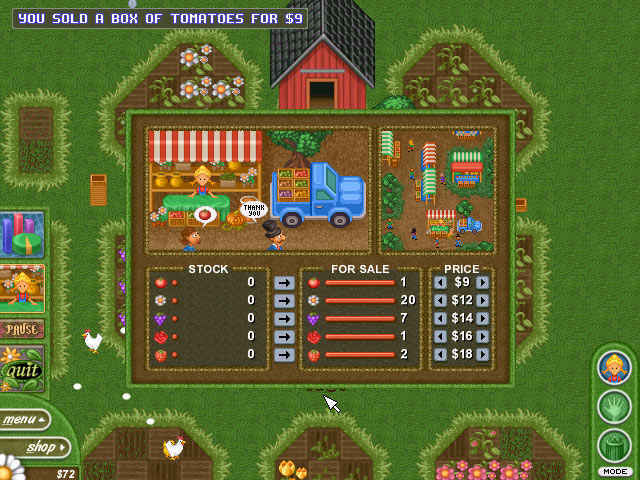 1st Runner-Up Best Action/Arcade Game of 2007 Step into the gardening business as Alice Greenfingers in this intriguing simulation game, where you build and decorate your own garden of flowers, animals and vegetables. Follow the market trends, learn to know your customers and sell ripe crops down at the town market to expand and get your business profitable. 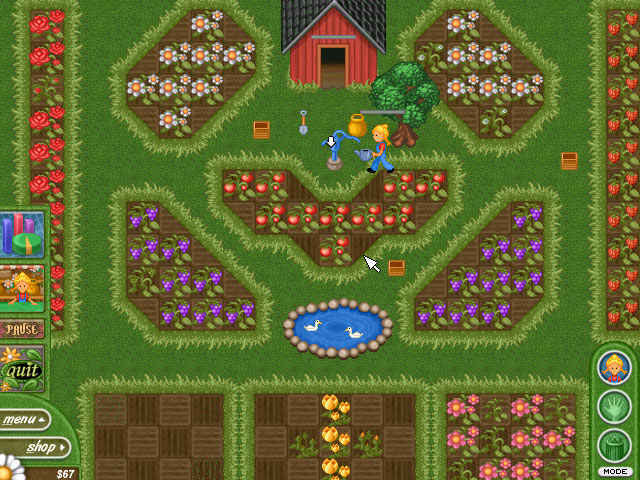 Sow, water and harvest a wide range of crops! 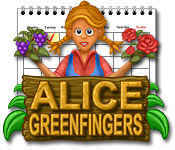 If you like Alice Greenfingers game, click to start Alice Greenfingers download. 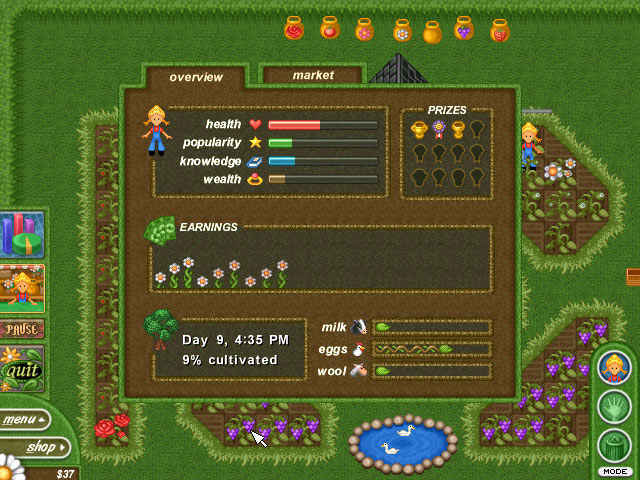 Sign-up to get informed when the Alice Greenfingers series has new game released with BD Studio Games' FREE bi-weekly newsletter.